Since 1998 The Chrysalis Corporation has been an industry leader in providing pre-employment assessment solutions to companies in a wide variety of industries. Whether you are a small company who hires only a few year, or a larger organization that is constantly in a hiring cycle, The Chrysalis Corporation will assist you in creating a cost-effective, customized assessment process that is specific to your needs. 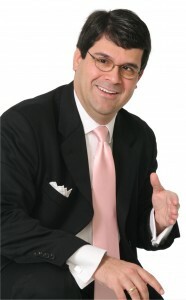 Michael Spremulli is a corporate personality profiler and leading expert in the field of reducing employee turnover. His keen insights and assessment processes enable him to help you predict, with pin-point accuracy, exactly how a job applicant will behave, perform, and function before you hire them. The end result for you and your company: better hires – guaranteed! Discover why companies both large and small rely on Michael’s expertise to help them select and retain top performing talent. If you are sick, and tired of wasting money on bad hires, contact Michael’s office today for a free, no-obligation employee selection consultation. It could be the most important call you make all year!